Child find is the process of identifying, locating, and evaluating children with disabilities who may be in need of special education and related services. Why is There Child Find? Both state and local education agencies are given the responsibility by federal and state laws to conduct child find activities so that children who need special services have the opportunity to receive those services. To promote public awareness of disabilities. To alert parents, professionals, and the public to children who may have special needs. To assist school districts in finding children who may have disabilities and who otherwise may not have come to their attention. To enable children and families to receive the special education and related services that are needed. For age Birth to age three: an established condition known to result in delay, or a documentation developmental delay. For ages three to five: a documented deficit in one or more of the following developmental areas: communication, vision, hearing, motor skills, social/emotional/behavioral functioning, self-help skills, and or cognitive skill. For ages five to twenty-one: identification on one or more or the following conditions: autism, deaf-blindness, mental retardation, multiple disabilities, orthopedic impairment, emotional disturbance, specific learning disability, speech or language impairment, traumatic brain injury, and or visual impairment including blindness. Parents, relatives, public and private agency employees, and concerned citizens are used to help school districts find any child, ages birth-21. who may have a disability and needs special education or related services. If you are aware of a child who may have special needs, please notify his/her school district. Schools can do their job better with your help. The school district will contact the parents of the child to find out if the child needs to be evaluated. Free testing is available to families to determine whether or not special need exists. If a need is identified, the child can begin receiving special education and related services. 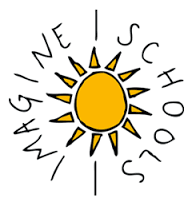 Imagine Madison Avenue School of Arts is a K-5 elementary school that opened in September 2008 in Toledo’s Uptown Arts and Entertainment District. We are currently serving over 370 students. We are driven to help children prepare academically, artistically, and emotionally for the next step in their education and ultimately for rewarding careers. Researched-based strategies and curriculum are the cornerstones to meeting the unique needs of each individual child. On average in reading and math, our students gained over a year's worth of academic growth. The Shared Values of integrity, justice, and fun guide everything that we do! Students provided opportunity for enriched engagement in visual arts, music, drama, dance, and physical education. Character education is integral to the curriculum and school environment. We ask that you join us in doing whatever it takes to prepare our children for the next step in their education and to become men and women of character to lead our society.